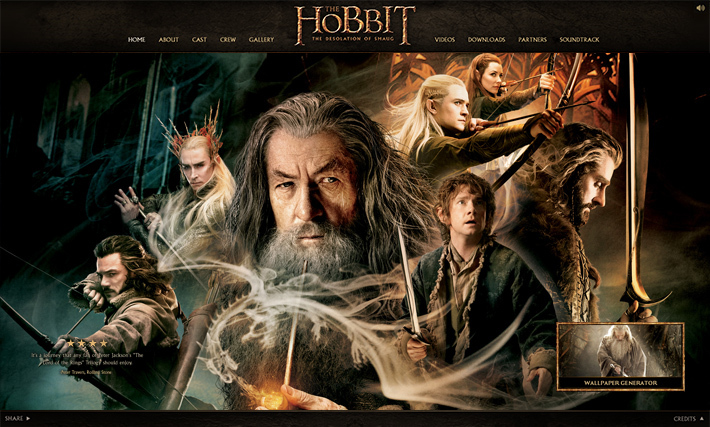 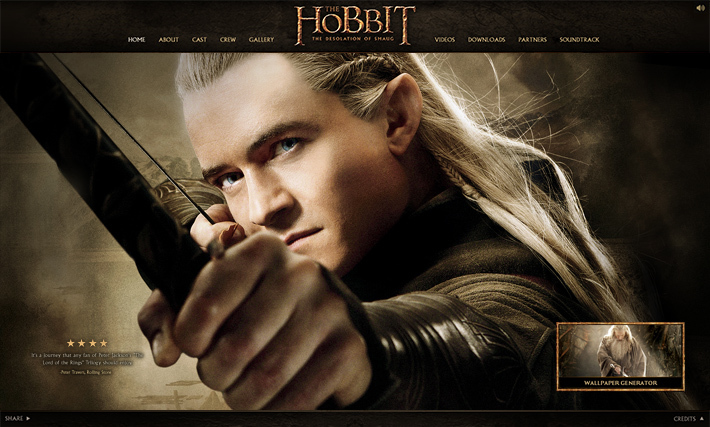 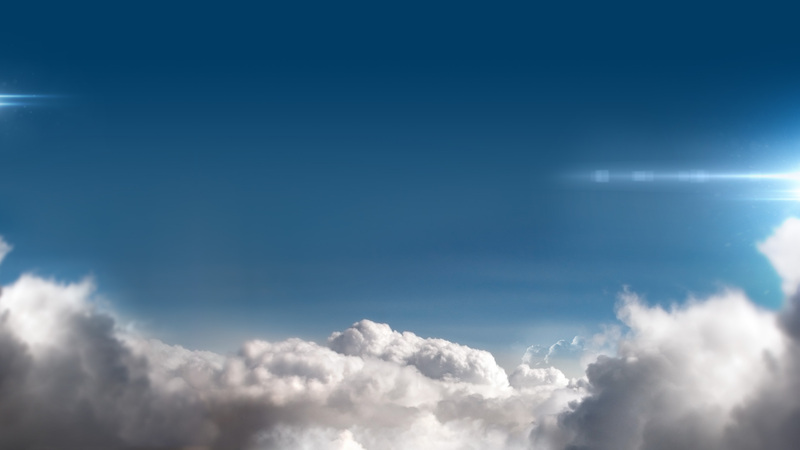 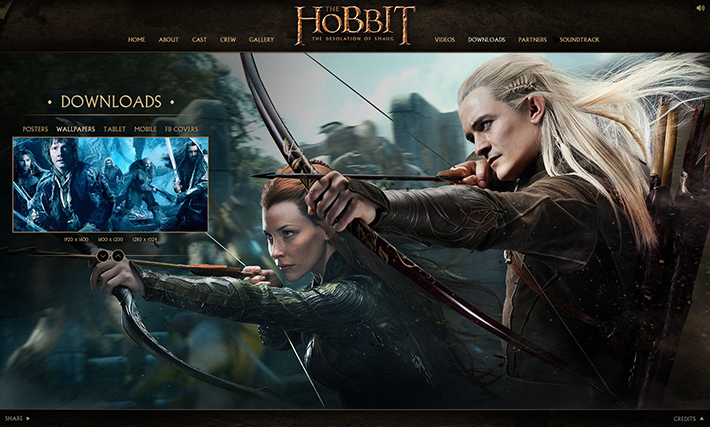 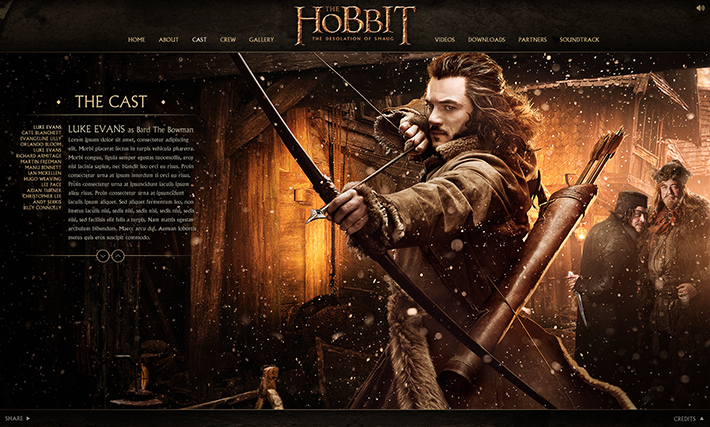 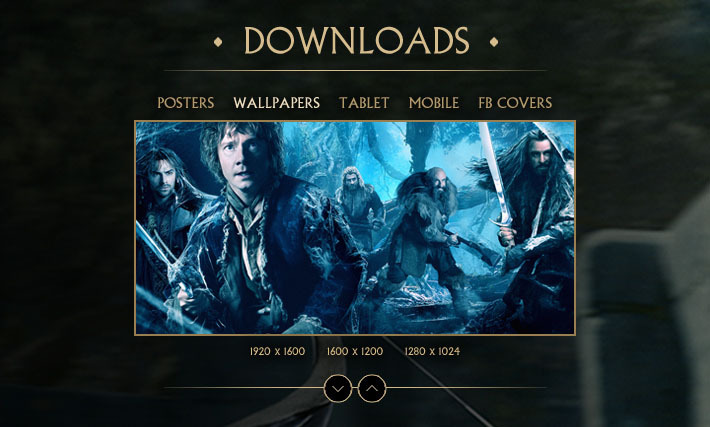 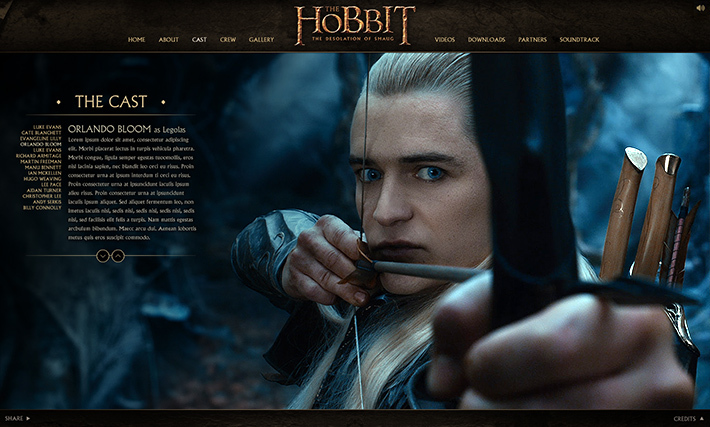 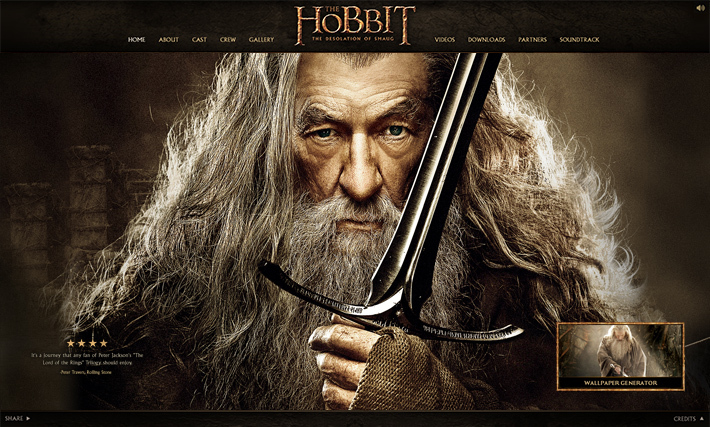 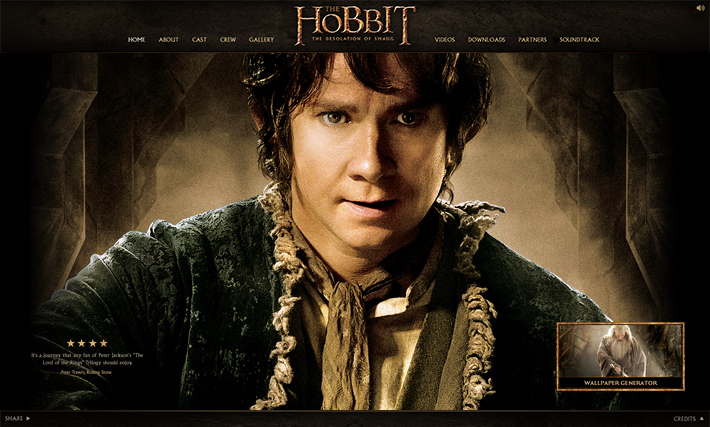 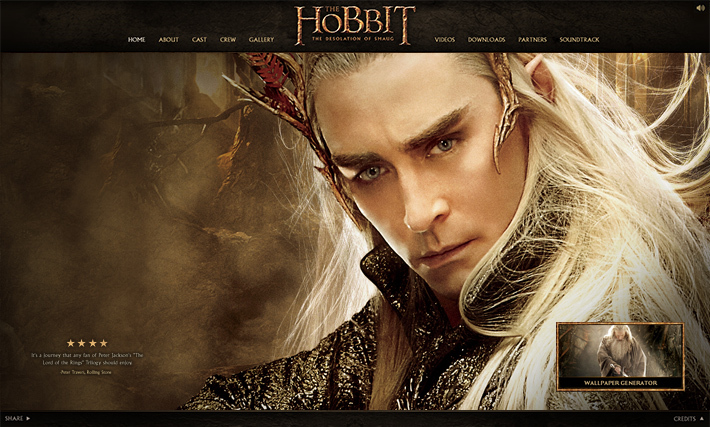 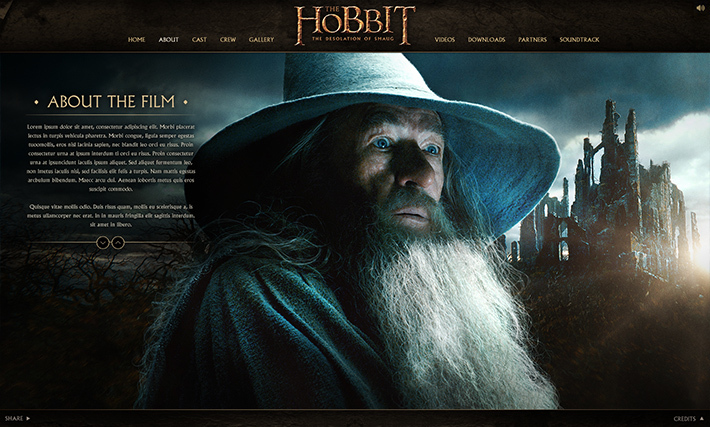 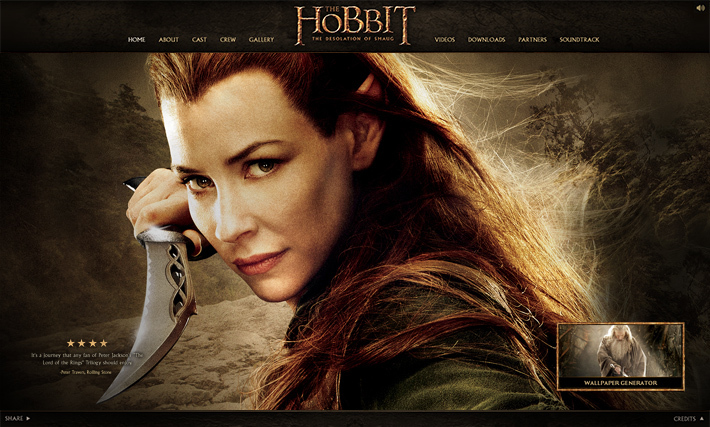 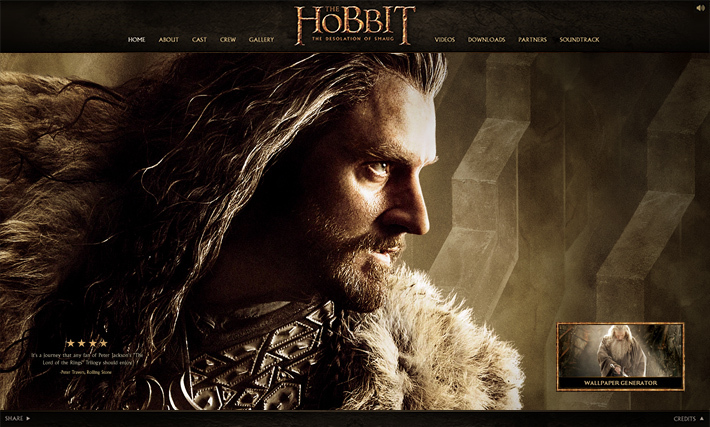 Promotional website for the Warner Brothers movie The Hobbit: The Desolation of Smaug. 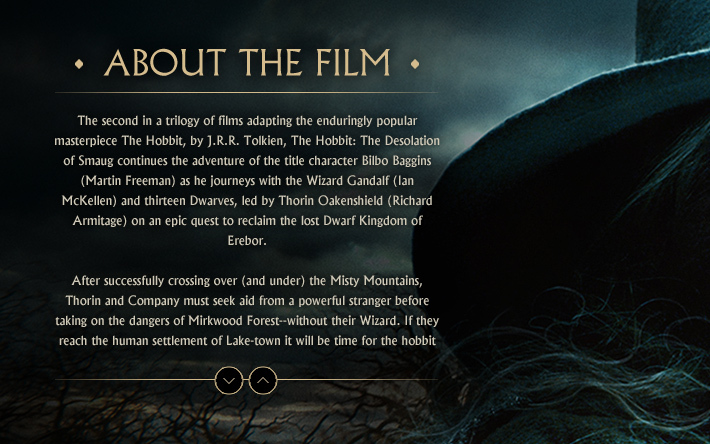 One of my favorite books as a kid. 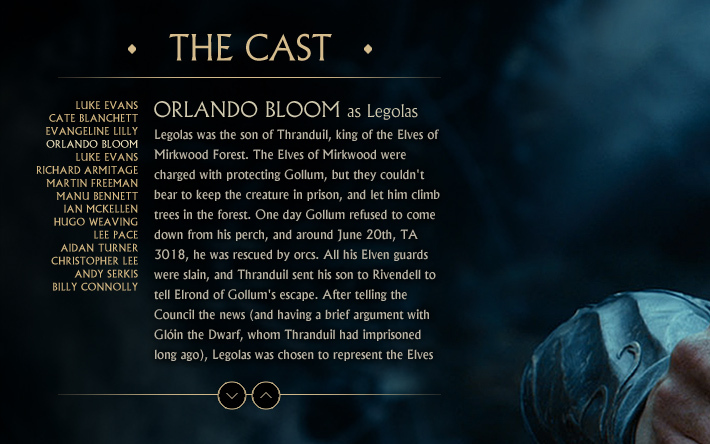 I was proud to once again be a part of such an amazing story.